Several publications have done a fantastic job of creating beautiful, educational resources for mineral collectors. Whether you are just beginning to learn about minerals or have been a collector for decades, it is easy to appreciate how these references are valuable reads! 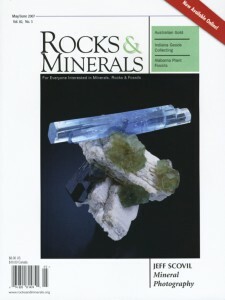 One of the top journals for mineral collectors worldwide. This bimonthly periodical also features special issues focusing on specific localities, minerals, etc. 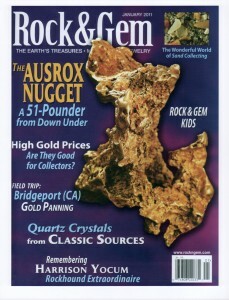 Since 1971, Rock & Gem has been the leading magazine for the lapidary and mineral hobbyist. Not a trade journal and not a scientific dissertation, it speaks to the average rockhound, providing a great blend of entertainment and satisfying information. Several articles are available to read on our Minerals in the News page! One of the top 2 bimonthly journals for mineral collectors worldwide - covers special issues such as show reports, localities, minerals, and more. 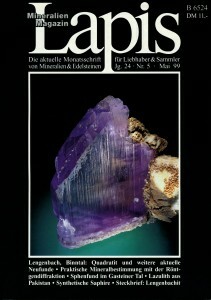 This magazine first started Dr. Robert Lavinsky's passion for minerals when he was only 13 years old! One of the major European journals of the mineral collecting trade - articles are in German and cover worldwide mineral topics. Lapis - China Crystalline Treasures Grand Opening Article - Check out our article in Lapis about the opening of Dr. Robert Lavinsky's exhibit at the University of Arizona! 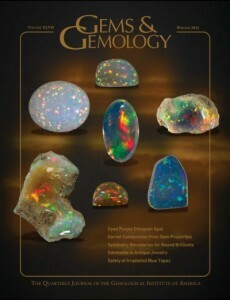 The journal of the Gemological Institute of America features articles on gemstones and gem localities. Published quarterly, the journal covers field collecting, museum exhibits, lab notes, jewelry, and more. 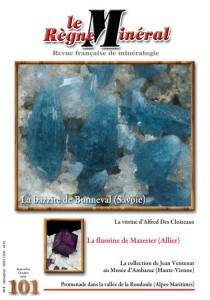 The leading French-language mineral periodical - beautiful images, extraordinary articles, and show reports. Boutique publishing of special books and theme issues for magazine style books on major mineral locations and species. These gorgeous, high quality publications combine depth of information and beautiful specimens produced by Gloria Staebler and her company. 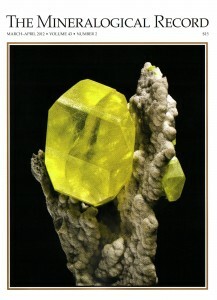 In addition to publishing the MINERALIEN-Welt periodical, Bode also publishes a variety of specialized books on localities, minerals, and precious stones. Please note many of the periodicals also publish special issues and books that are very worthwhile (and beautiful) reads! This German-language book highlights the Tucson Show experience. A great resource for those new to Tucson and those who have been going for decades! In addition to capturing special events such as the annual Dallas Mineral Collecting Symposium, BlueCap Productions also memorializes the annual Tucson and Munich shows in it's "What's Hot in" DVD series. BlueCap also has created a phenomenal series of DVDs featuring children field-collecting trips. Pick up a copy for any and all interested kids! We are very proud to have helped provide photos and content for the new scientific/educational poster series ROCKS & MINERALS and INTRO TO MINERALS. Please have a look at the fun and educational poster products offered by this vendor. Check out this comic book site featuring elemental characters in fun and entertaining stories! Gold, platinum, and silver all make appearances in the comics. The purpose of PIG is to foster discussion among professional geoscientists, gem and mineral tradespeople, and private collectors, amateur scientists, and other mineral enthusiasts. The geology and mineralogy of pegmatites provide the focus for PIG activities. IMA mineral properties database. The IMA-RRUFF Project is creating a complete set of high quality spectral data from well characterized minerals. The website will contain an integrated database of Raman spectra, X-ray diffraction and chemistry data for minerals. A great resource for gemstone research and pricing guides as well as appraisals and certifications. Visit their Gemstone Encyclopedia for details on specific gems, or their homepage at www.gemsociety.org to read articles and learn more about gemology. A great resource for all things geology! Check out the leading internet directory of websites, resources, collecting, trading, and all things minerals. Run by The Arkenstone, the Wisdom Pocket Blog contains great references for learning about the world of minerals! Check in for frequent posts about famous mineral localities, new finds, historical facts, and more!